The Seattle GM also talked about the decision to release Richard Sherman and trade Michael Bennett. ORLANDO, Fla. — Richard Sherman and Michael Bennett are gone. Whether Cliff Avril or Kam Chancellor will ever be healthy enough to play football again remains uncertain at best, if not considered unlikely. And the Seahawks don’t bother denying that they would consider trading Earl Thomas for the right price. But if the potential loss of five key pieces of the best defense in team history — not to mention the departures of the likes of former Pro Bowlers Jimmy Graham and Sheldon Richardson in free agency — has the look and feel of a team rebuilding, Seattle general manager John Schneider said Monday that isn’t the plan. 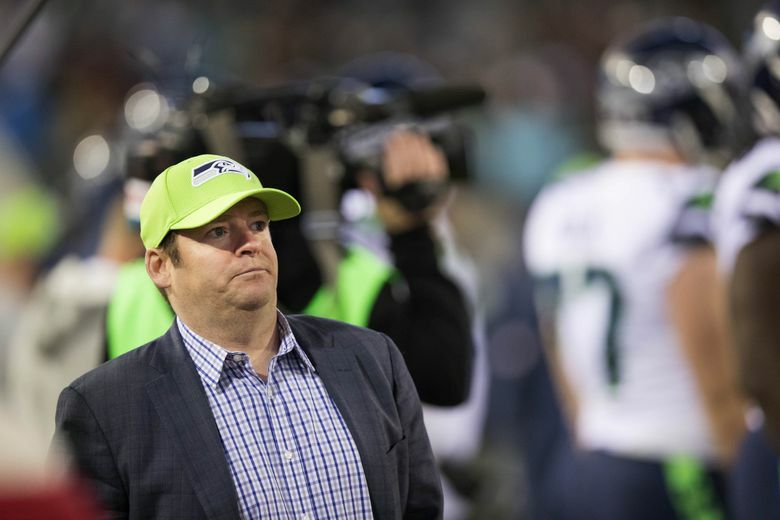 Instead, in what were his first comments to the media since the trade of Bennett and release of Sherman as well as a slew of other moves, Schneider said at the NFL League Meetings that all of the moves are simply in keeping with what has always been his goal of keeping the Seahawks at a level where they can compete for each season without ever taking a big dip in the standings. Asked if the team is rebuilding, Schneider said “no, no’’ and then talked of all that remains on the roster. The decisions to trade Bennett and release Sherman, he said, were merely part of that plan, even if the team understood that the legacy of each player means that their departures elicited a strong reaction from fans. The release of Sherman, Schneider said, was simply a salary-cap move — he was owed $11 million in 2018 and at age 30 will be coming off of an Achilles tendon injury. “It just became clear to us that at some point, Richard was going to be what we categorize as a cap casualty, because he had a pretty good-sized contract,’’ Schneider said, saying that the decision to release Sherman five days before the free agent signing period began was done as a favor to Sherman. Sherman has said he called the Seahawks before signing with the 49ers to allow them to match the offer he received – a one-year deal that includes heavy incentives that could pay him as much as $13 million but included just $3 million guaranteed at signing. Sherman, in fact, said later the Seahawks did not offer him to take a pay cut, and that now appears to be the case — that the Seahawks simply released Sherman and were not looking at options for re-signing him once they did. As for Bennett, Schneider confirmed that the Seahawks began talking to teams at the combine about a trade and also indirectly confirmed a report that the Patriots later also gave an offer after the one that Seattle accepted from the Eagles of a third- and a fifth-round. The Seahawks received a fifth-round pick and receiver Marcus Johnson for Bennett while also giving up a seventh-rounder. Schneider also said the Seahawks did not know that Bennett was under investigation for an alleged felony assault on the elderly for which he was charged last Friday. As for Thomas, as he did at the NFL Combine a few weeks ago, Schneider said the team has to consider all options. Intriguingly, Schneider said the team is not currently talking to Thomas or his representatives about an extension beyond the 2018 season. So what does it mean that the Seahawks are not currently talking to Thomas? Schneider declined to say when pressed if that meant the team would be willing to have Thomas play out his contract in 2018 with Seattle — Thomas has said he would consider holding out if he does not have a long-term extension before the season. So if that doesn’t necessarily clear things up, that may also be the point — all options appear still on the table with the team again declining to take the chance to say Thomas will not be traded.